Oh my!! It's just about Christmas and I've still got a couple of recipes for you. 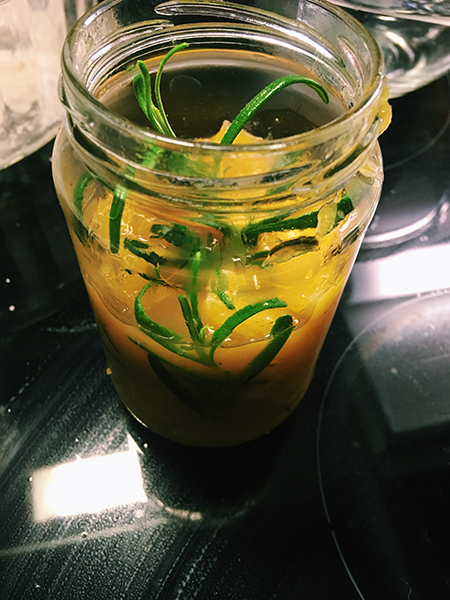 Orange and rosemary go together like gin & juice. Actually orange and rosemary go together with gin, too... 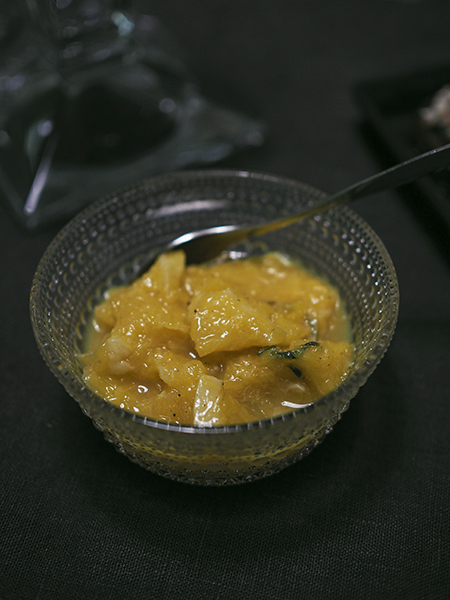 Anyway, this compote is a perfect companion for savory Christmas dishes, spicy food, and even with gingerbread! Hint: stay tuned for my next post. Wash the oranges thoroughly, and grate 1tsp of the peel. Now cut the oranges, removing the peel and most of the chewy white parts. Measure the vinegar and sugar into a kettle, bring to simmer while mixing. Add the oranges, cloves, orange peel, salt, and a branch of rosemary. Mix. Let simmer for about 20 minutes and take off the stove to cool down. Add the lemon juice and let the compote cool down. Remove the rosemary branch from the compote (it gets soggy and doesn't look very pretty), remove the cloves too if you can. 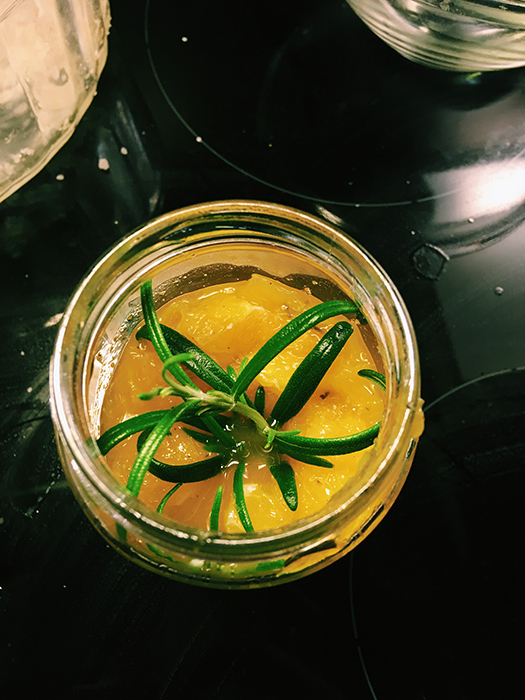 Put the compote in a jar or a container, add a couple of branches of fresh rosemary, and keep in a cool place! 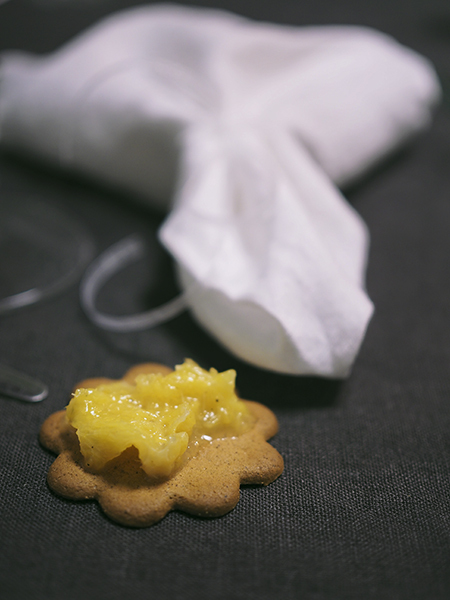 Serve with gingerbread cookies, spicy or savory Christmas dishes - stay tuned for more recipes!